Long-running manga, Bleach and Neon Genesis Evangelion are finally winding up. While it seems the anime series is doomed to be dug-up and remade every half-decade, the next volume of the long-running Neon Genesis Evangelion manga adaptation will be its last, according to publisher Kodokawa. Created by Yoshiuki Sadamoto, the Evangelion manga began back in 1995, and was originally released to promote the TV series of the same name. It quickly diverged from the plot of the anime and went on to be a huge success, despite its molasses-slow release schedule - only 12 volumes of the manga have been released in the past 17 years. This week also marks the beginning of the end for the crazy-popular and seemingly omnipresent shonen manga Bleach. Shonen Jump has announced that the manga is entering its final story arc. 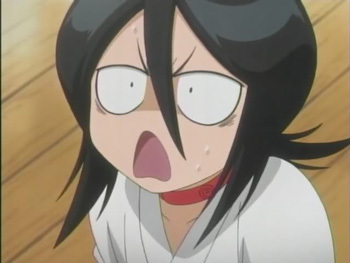 Of course, Bleach's story arcs can last for years, so don't expect the series to go away any time soon. While I have a soft spot for Bleach - the anime adaptation is the televisual equivalent of heroin, I've sat through entire seasons in a slack-jawed stupor - I do hope that once Tite Kubo has finished rolling around in the vast piles of money he's made, he'll return to his unfinished earlier work. So, we have one manga that's ending nearly a decade after the series it was based on, and another that will end decades before the anime based on it. There's a pleasing kind of symmetry to that.